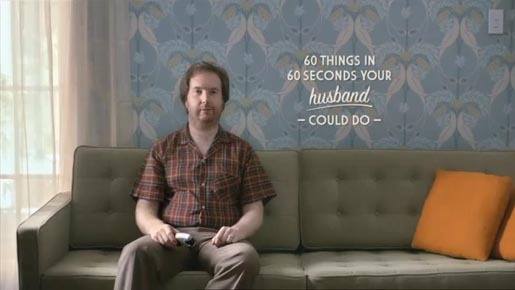 The 60 Things campaign was developed at DDB New Zealand by group executive creative director Toby Talbot, art director/copywriter Jonathan McMahon, art director/copywriter Lisa Fedyszyn, executive producer Judy Thompson, agency producer Kim Baldwinson, managing director Justin Mowday, managing partner Scott Wallace, account director Danielle Richards, account manager James Henson, planner David McIndoe, working with SKY director of marketing Mike Watson, marketing manager Chaz Savage, and marketing assistant Amber Brown.. Filming was shot by director Leo Woodhead via Thick as Thieves, Auckland, with producer Nikki Smith, executive producer Nik Beachman and director of photography Ginny Loane. Editors were Michael Lonsdale and Phillippe Lodes. Graphics were produced at The Craft Shop. Colorist was Dave Gibson at Digi Post. Post production was done by Stefan Coory at Blockhead. Sound was produced at Liquid Studios by editor Jon Cooper and composer Peter Van Der Fluit.